If only all of us had Betty’s mentality: For her, a day at work as the canine half of Durango Police Department’s K-9 unit is all play. 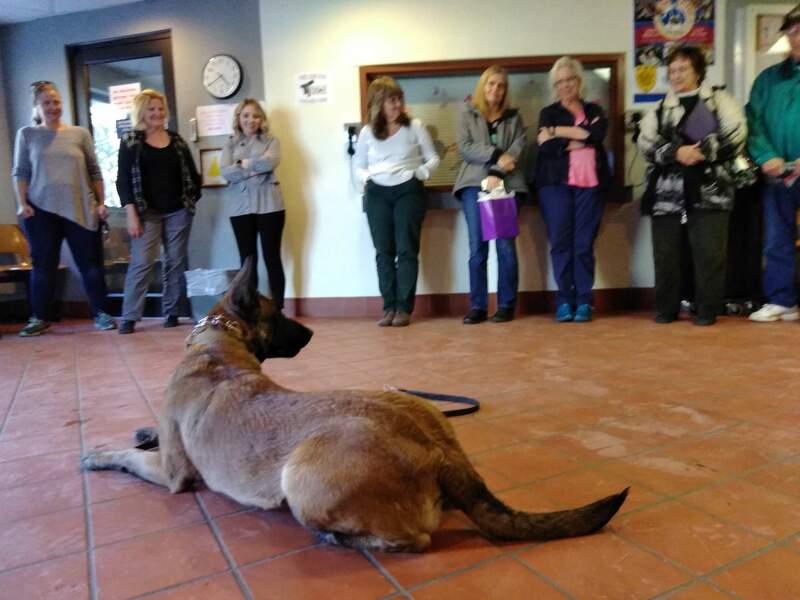 Betty, a Belgian Malinois, celebrated her second birthday Monday with about 50 community members in the lobby of the DPD police station. Moore provided information about his work with Betty as she focused on a tug toy. Since Betty joined the force in June 2018, she’s responsible for taking $6,000 of illicit drugs off the streets on 89 deployments, Moore said. Just three weeks after she began patrols, he said, Betty helped catch a violent offender from Pueblo who had warrants out for his arrest. Betty was alerted by methamphetamine, heroin and cocaine in the suspect’s vehicle. After the search of the vehicle, Moore said numerous weapons were also found, and the man was arrested. “He had a violent history. He was not a good dude, and getting him off the street was a good feeling,” Moore said. Officers gain an ability to search cars with Betty that they wouldn’t have without her canine sense of smell to aid them. Moore said police can search a car only if they have a search warrant or have probable cause to suspect drugs are in the vehicle. With Betty walking around the car conducting “free air” sniffs, she’s able to alert officers if she detects one of four drugs (she can also detect ecstasy) – giving officers the probable cause they need to search the vehicle. Betty is also trained to hunt down violent offenders and is trained to bite them, but unless she’s given a command, she’s simply a high-energy pet. Betty joined the Durango Police Department in June 2018. DPD is looking for private donations to add a second K-9 unit to the force. “She’s just a regular dog until you tell her to go to work, and then she’s just a whole different dog,” he said. Around the house, Betty, who lives with the Moores, is just a playful pet, and Moore said he has no problem with Betty around his three children, who are 1, 2 and 4 years old. Betty has a four-day work week with three days pulling patrol shifts and a fourth day set aside for training. In addition, Moore conducts training with Betty during slow times on their shifts. Moore said he’ll hide pseudo drugs in patrols cars and then let Betty conduct a search – she’ll follow a pattern unless she hits on a scent and then she’ll deviate and move to the detected substance. She’ll alert officers she’s detected a drug by sitting down. Betty was paid for with private donations, and the DPD is raising money to add a second K-9 unit. 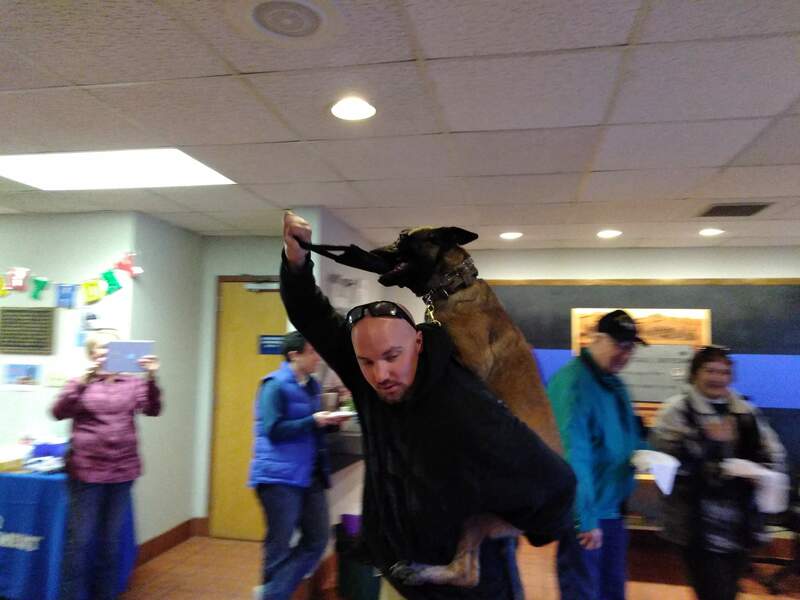 Donations can be made to the Durango Police Department K-9 Fund at the police station, Durango City Hall or online at https://bit.ly/2RYJsaR. Moore estimates it will take about $27,000 to add another trained canine to the force. The city would also like to buy Betty a $1,000 bullet-proof vest; DPD is currently borrowing one from the Colorado Springs Police Department.